Matte Mylar Side 25 Tabs Discounts Apply ! Side only, letter size, Standard white paper. 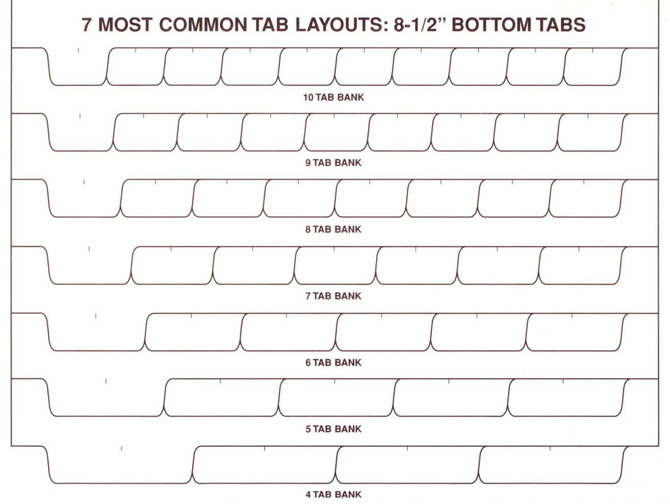 25 tabs (one of each position) per set. There is a matte mylar finish on tab. A fine point sharpie pen is ideal for use on the coated surface. This item comes 3 hole punched on the side. 1-49 sets: $3.97 ea. 50-99 sets: $3.74 ea. 100+ sets: $3.58 ea.